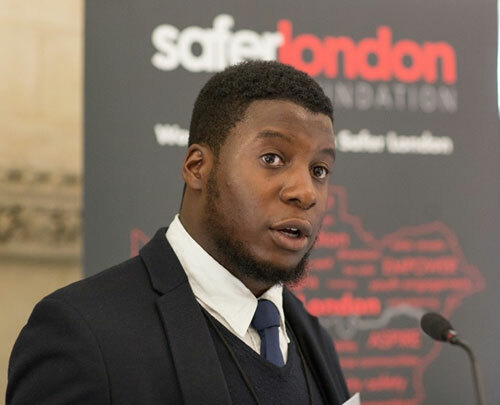 Safer London Foundation was set up to improve the safety and wellbeing of young people in London affected by violence and crime. The charity’s Empower project addresses sexual exploitation of girls by gangs, providing prevention measures and interventions to empower them to make positive life choices. It aimed to increase their confidence, their health and wellbeing, to keep themselves safe and to understand consent and what makes a healthy relationship. The programme’s methodology marries the voluntary sector with statutory agencies in a coherent multi-agency partnership. The programme boasts impressive results. Evaluations suggest that 95 per cent of beneficiaries developed strategies to keep themselves safe, 90 per cent had an increased ability to manage risk and 85 per cent had an improved safety record. Some 84 per cent said they had developed an increased understanding of healthy relationships. The project also provided a path to education and employment, with 73 per cent actively re-engaging with work or learning. Some 146 young women received one-on-one support through the programme, while 702 young people benefited from awareness-raising group sessions. The project was described as an “excellent and much needed programme”, by Awards judge Su Sayer. “To date they have worked with almost 1,100 young people directly and have had an impact on the lives of 1,500 young people,” she said. Paul Farmer, chief executive of Mind, said it was “strong application” from a “tough to deliver” programme. “I very much liked it,” he said.